Join CELP at the Southwest Washington Fair! 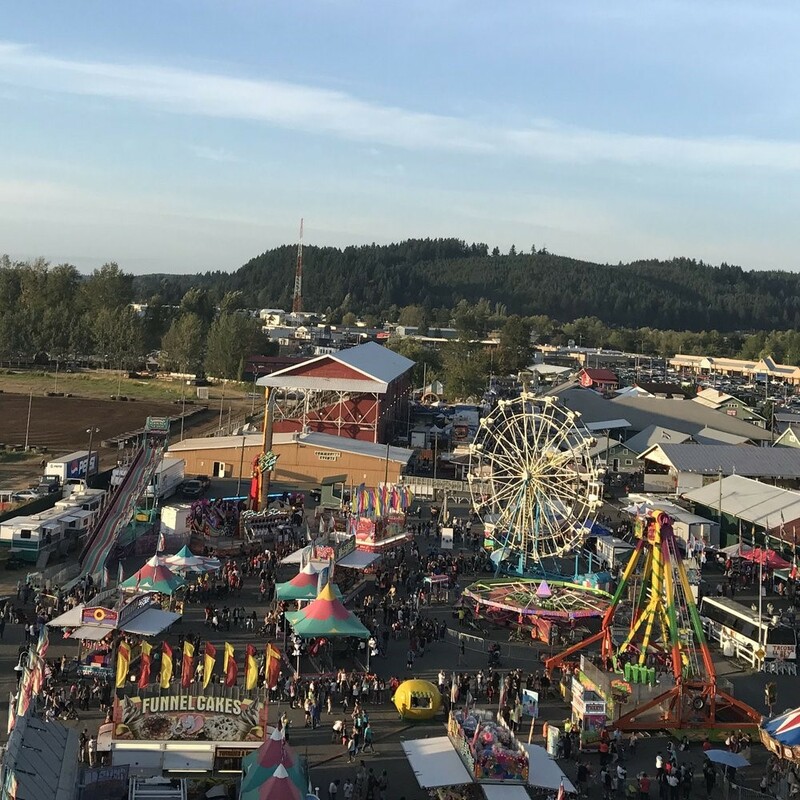 Since 1909, the Southwest Washington fair in Chehalis has drawn crowds from all over the state to play, compete, eat, and learn. Whether you want to rock out to the all-female AC/DC cover band “Hells Belles,” test your luck on the carnival rides, feast on a variety of fried breads, admire the livestock and harvests from farmers all over Washington, or learn from a variety of informational and fun exhibits, we would love to see you there! The fair runs from August 14 to 19, and CELP will be operating a booth in the exposition building Thursday, August 16 to Sunday, August 19. We will be talking with folks about protecting their water resources and building support behind establishing instream flows in Southwest Washington (more information on instream flows can be found under “water programs”). There are 11 free tickets available for anyone who would like to volunteer to come down and help with the booth, as well as parking passes and camping spots. If you would like to help promote sustainable water management while also experiencing one of Washington’s most iconic gatherings, please email Nick Manning at nmanning@celp.org. We hope to see you there!